When we checked out at Melia Tryp Castelo Blanco, the friendly receptionist (Portugal has lots of friendly receptionists. In fact I must say all receptionists I have met at all the Melia's we have stayed at in Spain and Portugal are all very friendly and helpful) recommended we cross the border at Segura as the drive is a very pictureque one. We followed his advice and were indeed very impressed by the beautiful countryside full of wild flowers, red poppies and old stones. 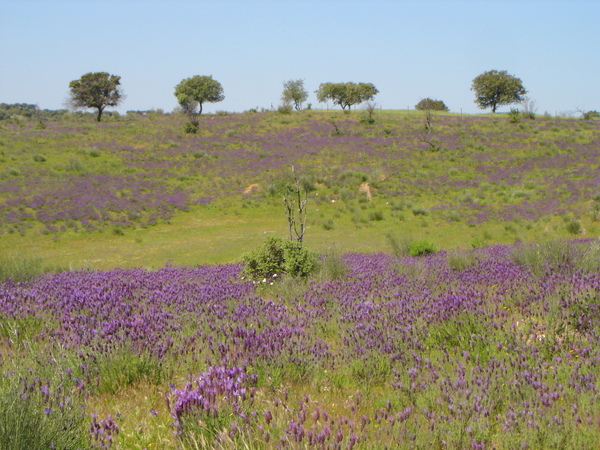 It was spring time and the whole countryside was full of such purple-bluish flowers. 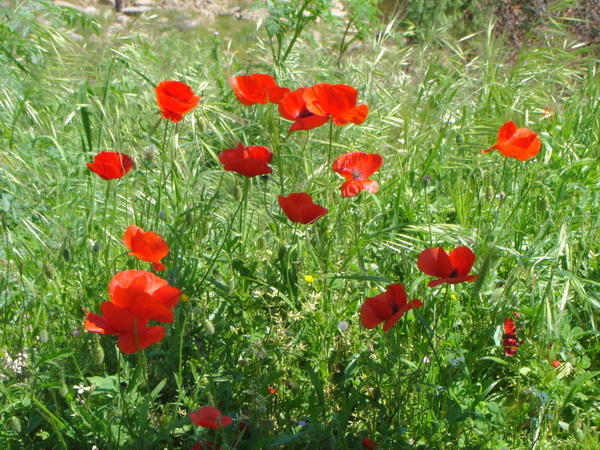 This is my favourite wild flower: wild poppies that bloom in the spring all over the lush hills in southern Europe. As these flowers do not have saps, they are not used to produce opium or related drugs. 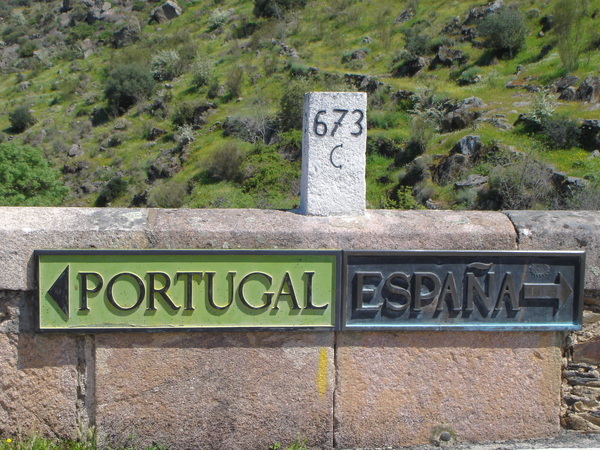 This bridge marks the border between Portugal and Spain. Prior to the introduction of Schengen Visa, the white house on the Spanish side of the bridge was used as a border post. The actual border is in the middle of the bridge. 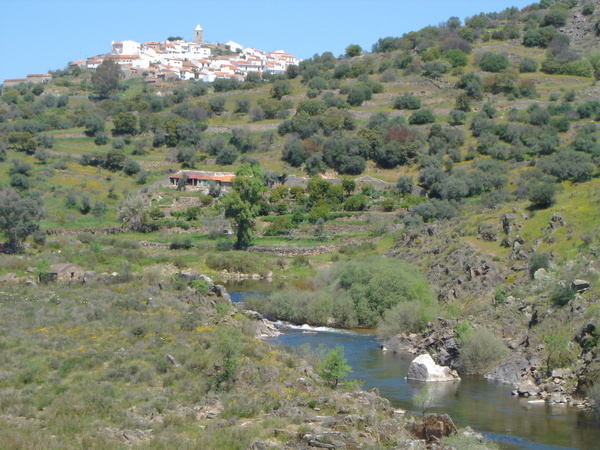 The ruins of the farmhouses on the right-hand side of the photo below are located in Portugal, whereas the road on the left-hand side of the photo is in Spanish territory. 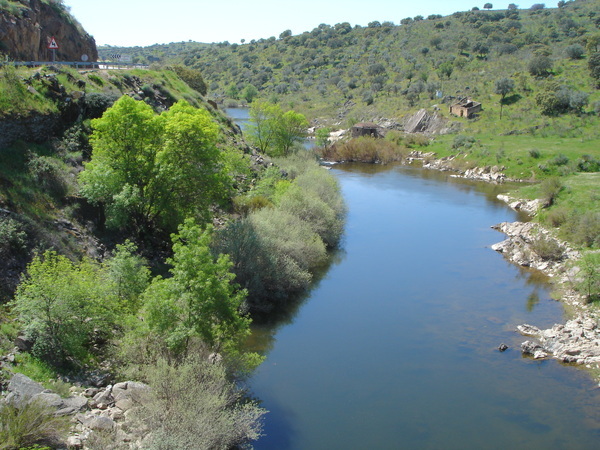 The river serves as the natural border between the two countries. The border town on the Portugese side is perched on top of a hill with a 360 degrees view of the surrounding countrysides. 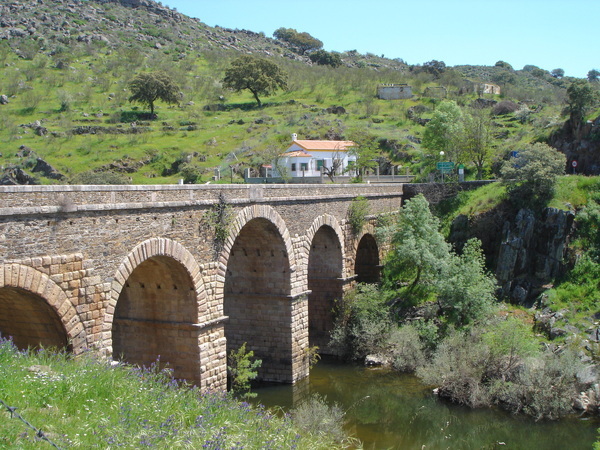 We stopped and had a quick picnic on the Portugese side of the border, before driving across the bridge into Spain. I have seen many different types of land border crossing, but this one is my favourite. Copyrights 2009. All Rights Reserved. All text and photos by YC Cheng. 下一篇： 申根簽證(Schengen Visa Type C): 如何計算到期日? ?